Even after many years, AlphaSights employees are still excited to be involved in iMentor. Why? Because our people see the value in mentorship and knowledge that can be passed from person to person – in essence, that’s AlphaSights’ business model. This week, we sat down with long-time Charity House volunteers Sean Corrigan, Region Head of the Americas, and Greg Sexton, VP of Corporate Accounts, to learn more about AlphaSights’ involvement and alignment with the organization. What makes working at AlphaSights different from other companies? One area in which AlphaSights stands out is the level of professional development (PD) available to its employees. Our PD team is dedicated to providing training and career advising sessions to ensure that our people are prepared to take on the large responsibilities given to them and that they continue to learn and develop skills that’ll help them excel throughout their careers. Another aspect that makes AlphaSights unique is our employees’ strong desire to volunteer and donate. We genuinely want to make a positive impact in our communities. When the company set a policy allowing advisors to donate part, or all, of their remuneration to our charity partner for that quarter, employees eagerly incorporated charity donations into their project pitches. AlphaSights employees have also formed many affinity groups, encouraging people to get involved and meet colleagues outside of their day-to-day circles. We have a Women’s Initiative Network (WIN), Brand Ambassadors, intramural sports teams, and Charity House. When the New York office opened, employees were encouraged to get involved in building out different parts of the business. As a response, AlphaSights formed “houses” where people used 20% of their time to focus on other aspects of the business outside of their core role. Over time, the houses were given specific, specialized teams and Charity House survived the test of time and became one of the hallmark initiatives at AlphaSights over the past 10 years. The affinity group provides a central place for employees to come with ideas for new ways AlphaSights can engage employees and get involved in philanthropy and its local communities. Charity House has partnered with several different organizations, joined NYC Service and its Good for me, Good for my City campaign, hosted lunch and learns for students, attended charity events, and more. How is AlphaSights’ partnership with charities unique? Both Sean and Greg share a common passion for philanthropy. They volunteered in college and wanted to continue their commitment into their careers. As they grew the New York office, they simultaneously began to incorporate volunteerism into AlphaSights' culture. AlphaSights began integrating a new step in the invoicing process, designing a new advisor-facing page to explain the initiative, picking charity partners, figuring out regulations around donating to charities and setting up our own internal accounting system. Eventually, the initiative was up and running; due to the enormous generosity of our advisors, many charities have benefited since. AlphaSights also uses charity initiatives to engage employees. There are fundraising challenges in the office and, with the help of Charity House, AlphaSights hosts workshops for various organizations to teach students important life skills. It’s easy for employees to make giving back to their community an everyday activity. What is iMentor and how did AlphaSights get involved? iMentor is a nonprofit organization that matches high-school students with a committed, college-educated mentor to guide them on their journey to college graduation. The nonprofit serves nearly 9,000 students, facilitating relationships that empower first-generation students from low-income communities to graduate high school and succeed in college. Sean and Greg were each introduced to iMentor through past colleagues. Given that AlphaSights is in the knowledge sharing business, mentoring and education hits home for a lot of its employees. 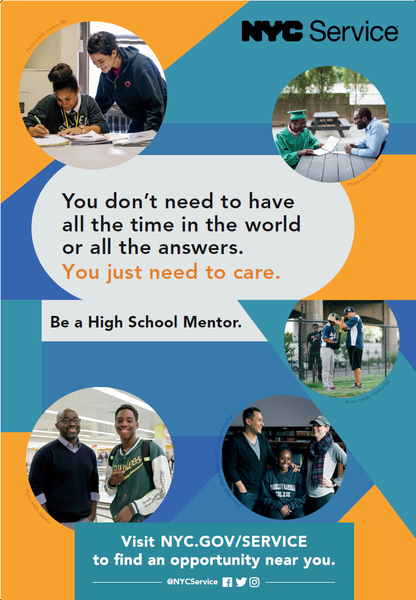 iMentor was a natural fit to support high school students with ambitions to take the next step to higher education. What makes AlphaSights’ relationship with iMentor different? Aside from encouraging and facilitating advisor donations, AlphaSights also participated in iMentor’s March fundraising challenge this past year. Employees were encouraged to personally donate as well as reach out to their individual networks to spark additional support for the organization. Sean alone raised over $10,000 for iMentor. To encourage engagement, AlphaSights transformed its kitchen into a speakeasy and every employee who donated received a ticket to attend. With the help of Charity House, employee donations, and advisor donations, AlphaSights raised over $60,000 for iMentor in 2018. AlphaSights currently has 7 employees serving as mentors and Sean is on iMentor’s young executive board. In the future, AlphaSights hopes to host more events for iMentor that also engages a larger number of its employees. For example, a personal finance workshop and panel for the mentees. What is the most impactful experience you’ve had as an iMentor mentor? Why is social impact important at AlphaSights? AlphaSights’ people are the core of our company. They’re the driving force behind the business as well as the activities that reach beyond their initial mandates. The workers at AlphaSights strongly value humanity, leveraging their skills to bring knowledge to people everywhere in hope that they leave the world better than they found it. This attitude led to forming Charity House, their social impact segment Knowledge for Good, and solidifying partnerships with charities like iMentor. AlphaSights is in a great industry to establish touchpoints with a wide audience through our employee, client, and advisor relations. It’s important to use this reach to improve the ecosystem we operate in and continue prioritizing the sharing of knowledge – from every angle. Sean Corrigan, Region Head of the Americas, and Greg Sexton, VP, Corporate Accounts, joined AlphaSights eight years ago and played crucial roles in opening the New York office and developing the firm’s global footprint. During Sean’s time at AlphaSights, he has worked across the private equity, consulting, and capital markets segments in addition to working closely with the recruiting and office experience teams. Meanwhile, Greg spent his first four years in the organization building out teams focused on our strategy consulting accounts. Since then, he’s worked on our corporate segment, bolstering service offerings and a sales and marketing team that targets F1000 corporations.